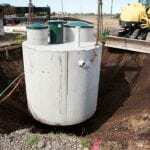 Home > Septic Services Blog > How Often Do I Really Need Septic Pumping Done? How Often Do I Really Need Septic Pumping Done? With our busy schedules, it’s easy to find that there are things we either willfully or unwittingly neglect or put off. Whether it’s getting your dog its daily walk or getting something done every few years, it can be hard to fit things into your schedule! When it comes to septic tanks, you know they need to be pumped regularly to prevent backflow, flooding, and damage to your system, but you also want to make sure that you make the most out of these appointments. You may ask yourself, “How often do I really need to get the septic pumping done?” The answer? It depends. 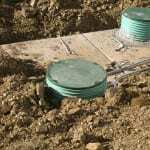 Even if two homes have the exact same septic system, they still might have different septic pumping systems. There are many factors that affect how often your septic pumping needs to be done. These can include things like household size, how much laundry you do, the number of people in your home, the size of your tank, even things like how much you use your garbage disposal! These are just some of the things that determine how often you need your septic tank pumped. Because of all these variables, it’s easy to see how one could get so many different answers when it comes to the frequency of pumping their septic tank. It’s usually recommended, on average, that septic tank owners have their tanks pumped every two to five years. Whether you are on the two-year schedule or the five-year schedule will depend upon the factors previously mentioned. At Clark Septic, we can perform septic tank pumping and help you determine a schedule that will work for your individual needs.